FLORIDA KEYS, FL (KTRK) -- Warren Sapp is off to a rough start this lobster mini-season. He broke a record during a fishing trip Wednesday in the Florida Keys, but the NFL athlete got more than he bargained for. During the trip, Sapp made history when he became the first person inducted in the Hall of Fame to survive a shark attack. The commentator for the NFL Network was bitten on the arm during a lobster fishing expedition. 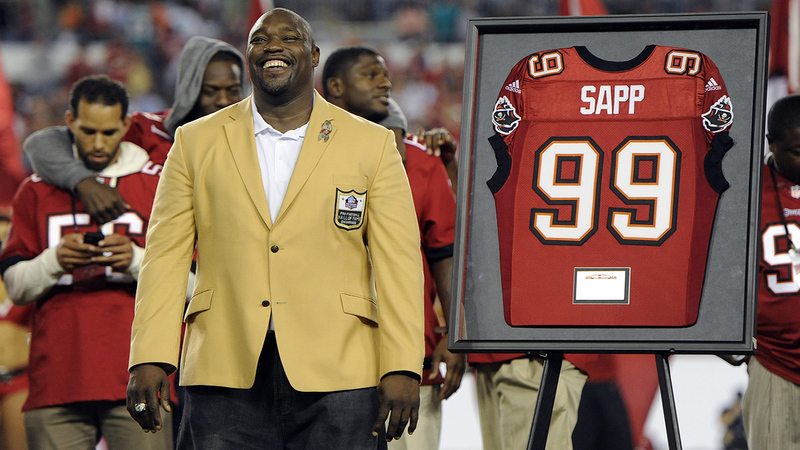 WPBF reports that Sapp was fishing about seven miles off the coast in nine feet of water. When Sapp reached for a lobster, a 4-foot-long nurse shark bit him. "The sharks hang around those lobster holes, because they feed on the lobster as well," Captain Jack Carlson of Two Conchs Charters said.